A versatile solution for many industries with strict requirements. The perfect combination of thermal, chemical, optical and physical properties for many applications and industries. Polyester Films provide the solutions for critical applications across many industries and businesses. 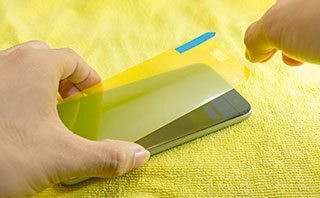 Here at Griff, our polyester film solutions can be tailored to fit the needs of your application or product, while maintaining film consistency, quality and integrity. 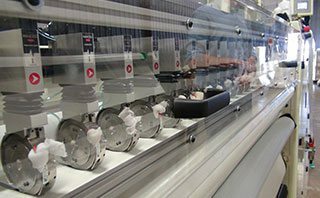 The films, release liners, and laminations offered by Griff help ensure proper protection of sensitive products, and ensure correct application of many medical materials. Clear / Print Treated Polyester Film provide high clarity with one or two sided treatments for use with inks and lacquers. Clear / Print Treated Polyester Film offer a treatment to promote handleability without adhesion promoting properties. Release Liner Polyester Film provides an optimized roughened surface for release liner applications. Can work with a silicone coating or without. Slightly Hazy Polyester Film provides both options of smooth and rough surfaces for a wide variety of applications. Variations include both sizes with no print treatment, single smooth or rough print treated surface, or both sides with a print treatment. Hazy Polyester Film are offered in a wide range of gauges and provide a viable solution to an extremely wide amount of applications in many different industries and environments. Ultra Violet Stabilized Polyester Film are extremely clear and designed to block UV light transmission. Their optical and mechanical properties are retained while cutting UV transmittance significantly. Thermally Stabilized Polyester Film are dimensionally stable via a heat stabilization process that ensures consistency and continuity of the product throughout the processing of PET films.